Recently, I stumbled upon a marketing article about the fact that holidays are the best time to sell/celebrate children’s books. As an author, I know this for a fact but I also know the major gift-buying holidays like Christmas and Easters tend to be a busy and noisy place online! Then is happened upon the site DaysoftheYear.com and my eyes were opened to the existence of fun and quirky “other holidays!” Here is a handful Quirky National Holidays you can Celebrate with Kids’ Books that are occurring in September . All of these are a great excuse to introduce a book into your young reader’s life. Enjoy! Every year we lose numerous species to the growth and expansion of human holdings, but through the effort of zoos, sanctuaries, and preservation organizations that rate is being slowed. On this day in 2006, the world suffered a terrible loss. Steve Irwin, known colloquially as “The Crocodile Hunter”, died in an encounter with a stingray that went ended his life. I love this book, Who Was Steve Irwin by Dina Anastasio! Steve lived for protecting animals and educating others so it only fitting that I share this wonderful book that is a tribute to his life and work. So, on this day, what book will YOU read? The possibilities are endless! As I look at my Books to be Read pile, I’ve decided that on Read a Book Day I will dive into the pages of this intriguing non-fiction biography For Young Readers fro Ohio Press; Count The Wings: the life and art of Charlie Harper. When you look at a bird, do you see feathers and a beak? Or do you see circles and triangles? Artist Charley Harper spent his life reducing subjects to their simplest forms, their basic lines, and shapes. This resulted in what he called minimal realism and the style that would become easily recognized as Charley Harper’s. Art fans and nature lovers around the world fell in love with Harper’s paintings, which often featured bright colors and intriguing nature subjects. Count the Wings is the first book for middle-grade readers about Harper’s life and work. Author Michelle Houts worked closely with the Harper estate to include full-color illustrations, plentiful supplemental materials, and discussion questions that will intrigue and engage young readers. Count the Wings is part of our acclaimed Biographies for Young Readers series, which brings smart, expertly researched books about often overlooked but exceptional individuals to school-age readers. You can grab your copy (and read with me!) at Ohio University Press or on Amazon. Who doesn’t love a soft, fuzzy and comforting teddy?! The American toy bears were named Teddy, in honor of President Theodore Roosevelt, who had refused to shoot a small captured bear on a hunting trip. Many teddy bears have become famous over the years, including Paddington Bear, Rupert Bear, Pudsey Bear and, of course, Winnie the Pooh. Speaking of Winnie the Pooh… if you had $20, would you buy a bear? Well, in 1914, Harry Colebourn, a veterinarian on his way to tend horses in World War I, followed his heart and rescued a baby bear on the train platform. He named her Winnie, after his hometown of Winnipeg, and he took the bear to war. Did you know that Winnie-the-Pooh was fashioned after a real-life bear and that Christopher Robin really existed? Before Winnie-the-Pooh, there was a real bear named Winnie. And she was a girl! Finding Winnie: The True Story of the World’s Most Famous Bear is a wonderful children’s picture book by Lindsay Mattock and illustrated brilliantly by Sophie Blackall is not only charming in every way but completely captivating. Known as Children of the Forest, Red pandas roam the Eastern Himalayas. These rust-colored creatures are experiencing a loss of nesting trees and bamboo, leading to a decline in the population. With less than 10,000 in the wild efforts are doubled every year to help these little firefoxes! Take this day to learn all you can about these endangered treasures including their vibrant personalities in the Red Pandas book from National Geographic Kids! By now kids are back to school and teachers and librarians are beginning another year of sometimes one of the hardest jobs on earth. MCBD has always worked very hard to support teachers with free resources, free classroom kits and free diverse books, but now we want to give YOU a way to help them as well! 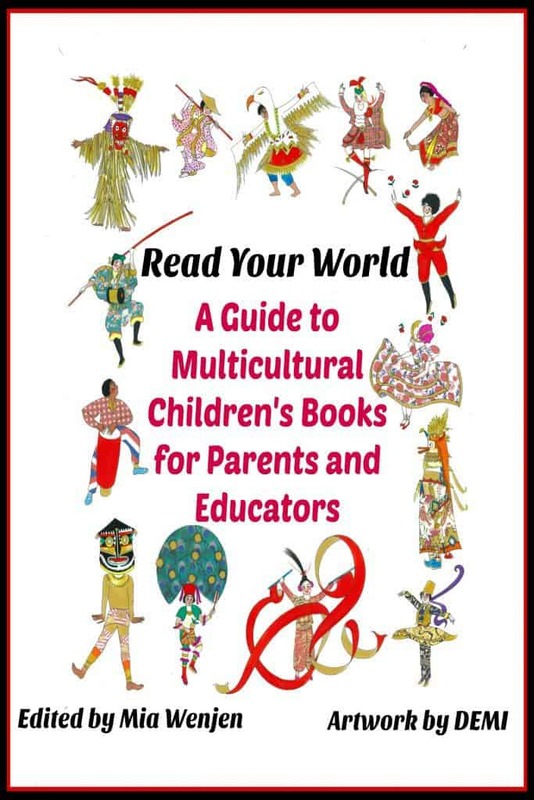 In 2017, MCBD has published their first ever ebook filled with multicultural book resources and recommends. Yar harrr! Ahoy there ye lily livered blaggards! It be Talk Like A Pirate Day, and that means it’s time for pillaging and imbibing of rum! Pirates have been all the rage in recent years, and out of that rage came an insane and completely piratical idea. There should be a day dedicated to keeping the piratical language alive, and more importantly the piratical tradition. And there is! Go HERE to view my list of 22 Non-fiction Pirate Books for Kids! The Pony Express consisted of relays of men riding horses carrying saddlebags of mail across a 2000-mile trail. The service opened officially on April 3, 1860, when riders left simultaneously from St. Joseph, Missouri, and Sacramento, California. The first westbound trip was made in 9 days and 23 hours and the eastbound journey in 11 days and 12 hours. The pony riders covered 250 miles in a 24-hour day. To celebrate this bold time in our Country’s history, see if you can locate a book or two to share within this The Pony Express Booklist. Get Artsy! American artist Charley Harper is known for his unique style of creating art inspired by simplified nature into basic shapes; a style which he called “Minimal Realism.” Elements of the Art Room has a wonderful “Harper inspired” Cardinal activity that will be fun for any age. Get your pirate-on! For a limited time, I am offering my pirate-theme Treasure Island Day Adventure Guide! 50+ pages of Treasure-Island inspired fun like pirate crafts, how to talk like a pirate, special pirate games and much, much more. This guide is FREE simply by signing up below. Ahoy matey! Here’s a few more books to inspire reading! Hi! This is awesome but do you have it on a calendar so I can see all the days & the books? Would really love this! Hi! If you go to DaysoftheYear.com you’ll find all of these great holidays!